2. Arrive ready to talk. No one enjoys the awkward moments when the conversation goes dry. My friend Cooper at Social Primer has a great post about this so I won’t try to repeat it. Just go there and check it out. 3. Don’t arrive empty handed. Unless you’re contributing to the meal or food that is being served, bring a small token of your appreciation for your host. More about that as well here. 4. RSVP in a timely manner. Nothing is more frustrating for a host who is planning their week to prepare for a party than trying to figure out if they are gauging for 8 or 16 guests – and there is a huge difference. Make sure you reply to the invitation as quickly as you can after it is offered. 5. Write a thank you note. 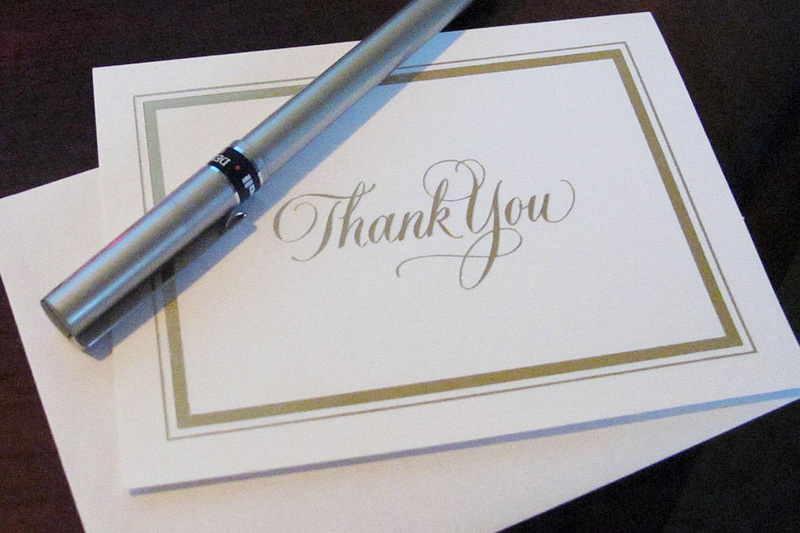 It is fine to jot it in your holiday card if you happen to be working on them the next day, but don’t neglect the art of saying thank you. There is also more about that rule here. For more tips to help you brush up on your holiday etiquette, check out some of my previous Manners Monday posts.